Choosing your wedding gown becomes a bit confusing, especially when you have so many options. With this article, you will get tips on how to buy wedding dress. After being involved in a relationship for so much time, the two of you have finally decided to get married. Your parents have been approached, the ring exchange ceremony is over and even the date has been fixed. Now comes the most important task of all - selecting the wedding dress. With so many styles available in the market, confusion is the only thing that you encounter when you start the shopping. Let me tell you that if you keep certain basic things in mind, choosing your wedding gown becomes a much easier process. 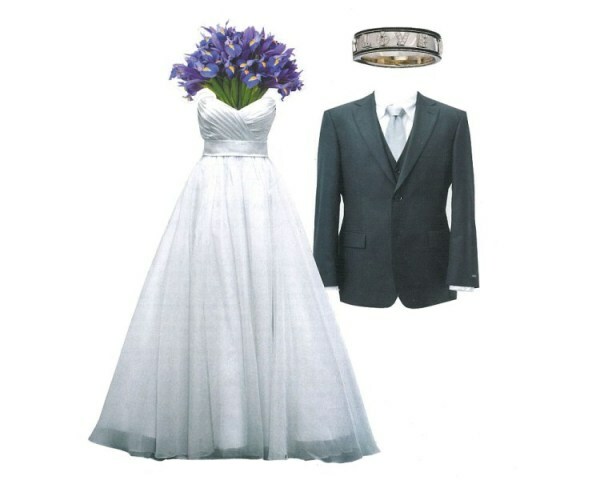 To know more on how to buy wedding dress, check out the tips provided below. In order to choose the perfect dress for your wedding, you first need to decide on the amount of money that you can afford to spend on it. It will help you skip over the options that are completely out of your reach, thus saving on time as well as effort. Whenever you go shopping for the dress, make sure to spell out your limit, to the attendant. There is nothing to be embarrassed by it, as it will help him/her show the dresses that match your requirements perfectly and he/she will be glad not to show the ones that are completely off your budget. Buying a wedding dress is not like going to the nearest 'Benetton' outlet and getting a pair of jeans that fit you well. You will need time not only while selecting the perfect gown, but also to get it perfectly fit. In majority of the cases, the fittings and alterations are not done at the shop, rather some off site location, and require several weeks to be completely finished, say 8-12 weeks. So, you will need to start shopping at least 4 months before the wedding. If you are getting the dress customized, be ready to keep 6 months gap. Now that the time has come for you to start the shopping, it is advisable for you to familiarize yourself with the styles that are 'in'. In this context, browsing through wedding magazines will surely come handy. They will help you get acquainted with the latest styles. You can also indulge in window shopping, for the purpose. Then, there is the option of consulting your married friends. However, at the end of it all, remember that it is your wedding and you need to dress in a gown that you have fallen in love with. It is the time to do the actual shopping and select the dress. In this context, it is very necessary to keep certain basic factors in mind. The dress should complement the overall theme of the wedding, if any, and should be extremely comfortable. Remember these points while selecting the color, length, train, mood and overall size of your dress. Then, you have to take the decision regarding the veil as well - to wear it or not. At the end of it all, be guided by your heart and select the dress that appeals to you in the very first instance. Along with the dress, it is very necessary for you to buy the right accessories as well, which mainly include the shoes, gloves, jewelry, and, at times, a handbag as well. The shoes should complement your dress and ooze comfort. The jewelry, on the other hand, should add to overall appeal, but not take away attention from your dress. Wearing gloves is a personal choice, which you may even obliterate altogether, if you so desire. At the end of at all, remember that all the accessories are intended to enhance your beauty.